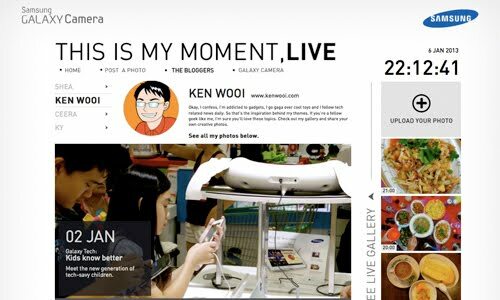 Since I’m one of the bloggers chosen to share photos on This is My Moment, LIVE, I was assigned the “GALAXY Tech” category whereby my task is to capture photos related to gadgets and technology. 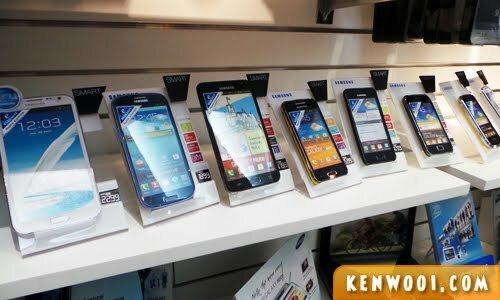 One of the example themes is the “Seen With A Samsung” theme. 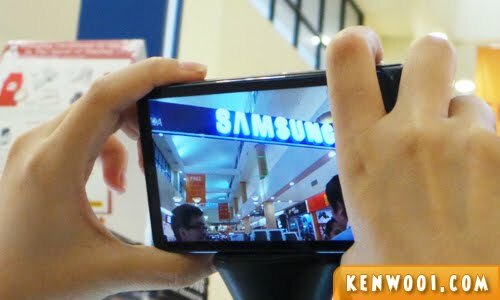 Knowing that I’m suppose to be on the lookout for people seen using a Samsung product, I brought the Samsung GALAXY Camera along with me whenever I go out. You know, I thought it would be a very easy task – just take photos only mah! Right? 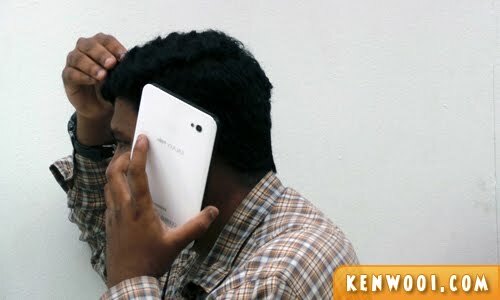 Well, it’s interesting to see someone having a phone conversation over the Samsung GALAXY Note. Definitely a huge-looking phone, and you’ll need a big palm to handle that. Here’s a couple browsing through the photos on the phone after taking photos of each other. 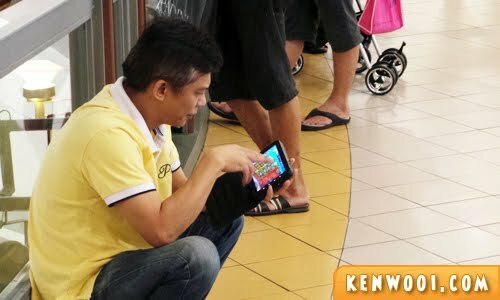 An uncle sitting along the railings while playing games on the GALAXY Tab. Must be killing time while waiting for his family members, I think. 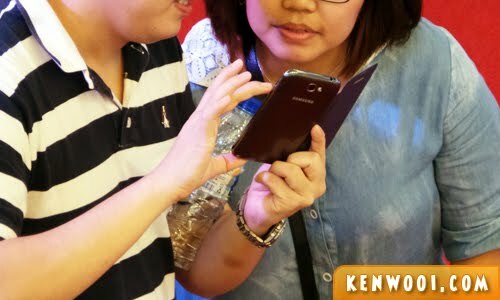 Here’s a shot of the Samsung phone being used by a young man while he was with his group of friends. Alright, that’s all! So throughout the entire task, I also realized that it’s more common to spot a Samsung phone user than other phone users. 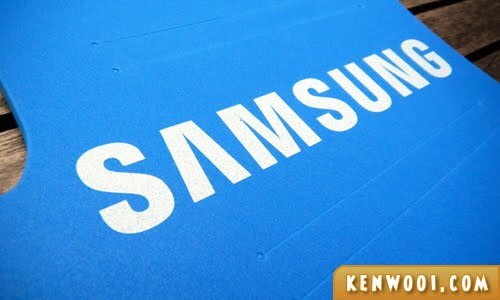 Samsung must be thrilled to find out that Samsung phones are all over the place nowadays. Or, they would have already known that. Heh! P/S: Check out This is My Moment, LIVE to see more of my photos! You can also submit your own photos as there will be a reward you! The selected lucky ones will get a RM100 cash prize! Thank goodness you will never take a picture of me since I do not use Samsung phones! Haha!